The places we've been. Land and sea. And everything in between. Know any football fans that would do just about anything for a photo-op with the Lombardi Trophy or the chance to shake hands with their favorite NFL player? We do, and we made their dreams come true at a local client event in Philadelphia. With our talent handling expertise, DLM worked directly with NFL Media to provide an appearance by Fletcher Cox of the Philadelphia Eagles at their client's private event at Xfinity Live. DLM has contracts with the most trusted transportation vendors in the industry to provide luxurious transfers for the highest level VIPs. Fletcher comfortably rode to Xfinity Live in a large SUV where his driver escorted him right to the entrance of the venue. For this event, DLM also helped coordinate the arrival of the Lombardi Trophy from New York City - via private driver, accompanied by private security guard, displayed in a custom made case, and secured behind a rope and stancion for display. The clients in attendance at this event were blown away upon arrival. Seeing that sparkling trophy across the room was certainly a wow factor! 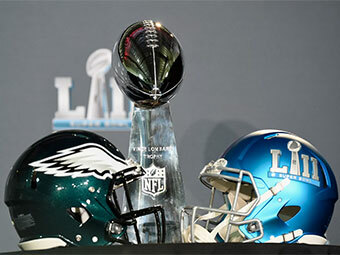 Guests truly valued the once in a lifetime opportunity to pose for photographs with this prestigious trophy and our clients at NFL strengthened their affiliate partnership in Philadelphia. A win for everyone!